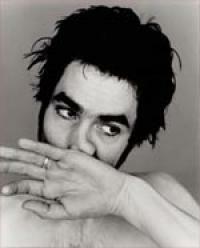 Jon Spencer, selvfølgelig mest kjent for sitt band Blues Explosion, har tatt turen til Memphis og laget plate med brødrene Luther & Cody Dickinson fra North Mississippi All-Stars. Bak spakene i studio; far Jim Dickinson. »The Man who Lives For Love« (Yep Roc Records) skal ut siste uken i august. Jon Spencer, heart-attack front man of the Blues Explosion and shudder-and-shake specialist of rockabilly wildmen Heavy Trash, takes on Luther and Cody Dickinson, masterminds of the North Mississippi All-Stars, in a no-holds-barred Mississippi Mud Fight, and the result is a rock'n'roll rumble and a darker side of soul!!! »I was a little messed up in the head anyway,« confesses Spencer, telling the tale of this backwoods electric throw-down, recorded with producer, wizard, and legendary Memphis musician Jim Dickinson at his Zebra Ranch. »It was freezing cold. It was tough, just a barn with a space heater. We got that freak element. We got the groovy hate vibe. We got weird.« Can you handle the truth? Get tough and enjoy yourself.